Political gerrymandering is not a new problem. The partisan mapping of districts and apportionment or Representatives in order to sway votes to favor one party over another existed in colonial times and persists today. 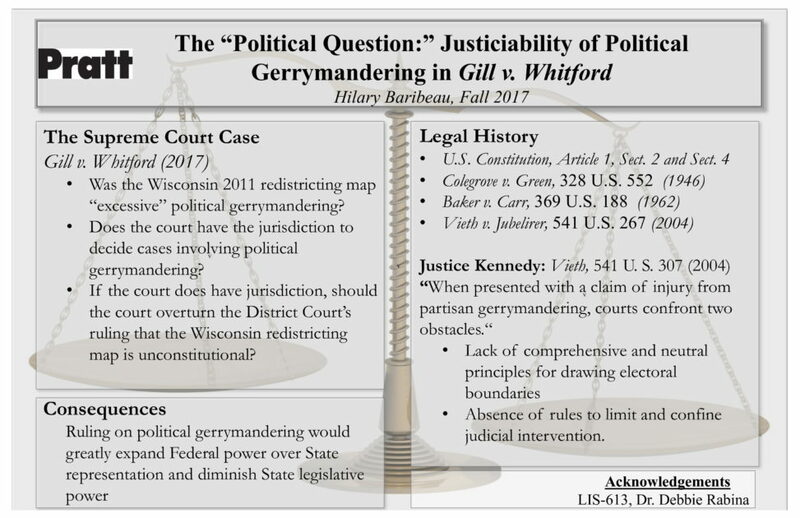 The Supreme Court has so far refused to hear cases involving political gerrymandering on the basis that the Constitution provides no clear instruction or test to determine whether political gerrymandering can be considered “excessive.” But, in the fall of 2017, the Supreme Court will hear the case Gill v. Whitford which involves political gerrymandering in Wisconsin. On the surface, this case is about excessive partisanship and the dilution of votes. At its heart, however, it is about the separation of powers of government and the power struggle between the federal government and the states. A close look at the documents relevant to this case reveal the longstanding tensions surrounding the practice of gerrymandering which have come to a tipping point in this 2017 Supreme Court case.